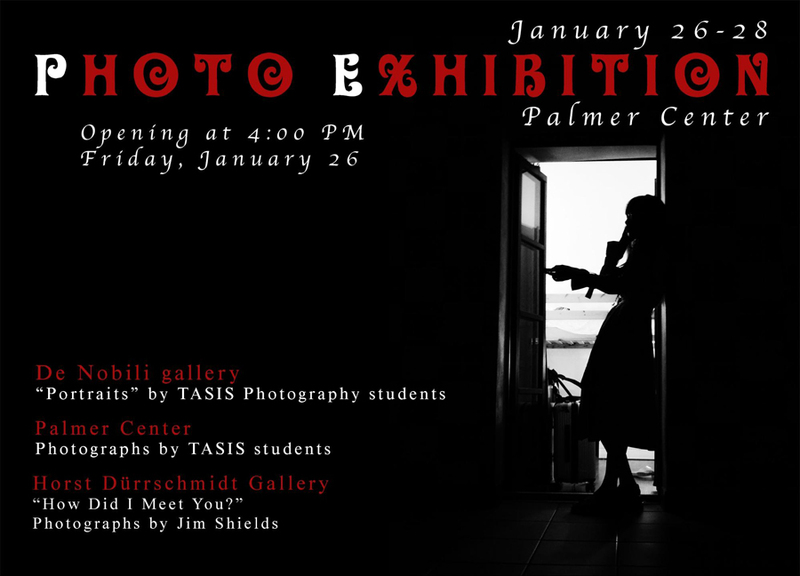 The TASIS Cultural Events Program and Fine Arts Department are pleased to present the Winter Photography Exhibition in the Palmer Center during the weekend of January 26–28. The exhibition opens on the afternoon of Friday, January 26, at 16:00 (refreshments will be served) and will run all weekend. It will feature photographs from more than 70 students and is open to the public. Portraits taken by TASIS students will also be featured in Villa de Nobili throughout the weekend and beyond. How Did You Meet?, an exhibition of photographs by High School Math Department Chair James Shields, will be on display in the Horst Dürrschmidt Gallery in the Şahenk Fine Arts Center through March 5. All are welcome to attend an opening reception in the gallery on the evening of Friday, January 26, from 17:00–18:00. The Cultural Events Program aims to provide members of the School community with rich and meaningful artistic experiences throughout the course of each school year. There will be a number of cultural events on and off the TASIS campus this winter and spring. Please see the Cultural Events calendar on the TASIS website for details about upcoming events.